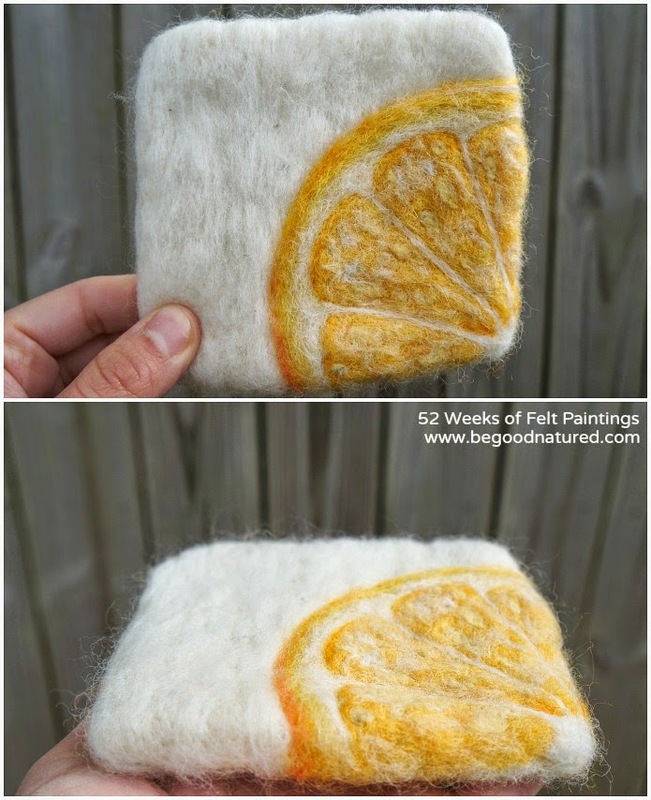 Here's another food related felt painting...surprised? 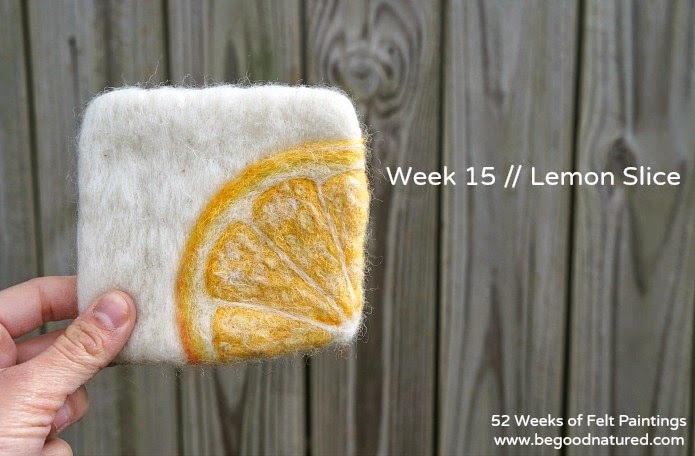 I thought needle felting a lemon slice would be easy, but getting the wool to translate into the texture of pulp was a bit difficult. I think it turned out okay, though!